The 500 Club committee's purpose is to fund projects that promote or enhance Frederick. Citizens of Frederick are welcome to join the 500 Club by donating $5.00 a month to the 500 Club fund, or by giving $60 annually. This committee is the reason our annual Tillman County Junior Livestock Show exists. Members of this committee work hard to make each student’s livestock showing experience a meaningful one. From the annual Trophy Auction to the Award’s Banquet, this committee works several months out of the year for this project. Frederick Chamber Ambassadors are qualified individuals elected by the board to represent the chamber in many different aspects. Current ambassadors can be seen strengthening relationships with local businesses and reaching out to newcomers. The Christmas Parade Committee helps citizens in Frederick celebrate “the most wonderful time of the year!” The committee takes charge of our main holiday event each December. The Cotton Festival Committee is made up of individuals who wish to see the Annual Chamber Cotton Festival and Chili Cook Off succeed. This committee organizes and plans the event each fall. Economic Development is an important part of the city of Frederick and the Chamber of Commerce, which is why the Economic Development Committee was formed. The purpose of this committee is to generate ideas, actions and opportunities to bring in new businesses around town. Frederick’s Fantastic Oyster Fry is our biggest event of the year. For over 25 years this committee has helped make this crazy feast a success. The Oyster Fry is the 1st Saturday in March each year, which puts these members at their busiest around that time. They order the oysters, coordinate volunteers and never back down…rain or shine! What would our annual Oyster Fry be without a fabulous craft show right next door. The Oyster Fry Craft Show Committee recruits vendors, mails out forms, collects sales tax and brings an awesome craft scene to Frederick each 1st Saturday in March! Each August the Chamber welcomes teachers back to school by throwing them a Teacher Appreciation Luncheon. This luncheon is organized by a small group of volunteers who gather prize donations, hire a caterer and make sure each teacher feels appreciated by the town of Frederick. The Technology Committee was created in response to the ever demanding role of social media and internet technology in business marketing. The goal of the Technology Committee is to discuss technology needs of Frederick businesses while working to develop strategies for meeting those needs. It is also a goal of the committee to provide information and resources relating to social media, apps and basic tech tools as well as web page assistance. 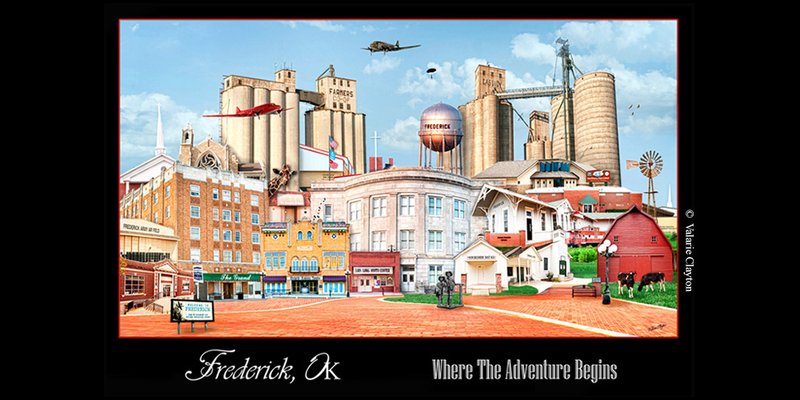 The Tourism Committee is always coming up with neat and interesting ideas for showcasing Frederick’s finest attractions and events. This committee helps with everything from brochures and signage to accommodations and support.